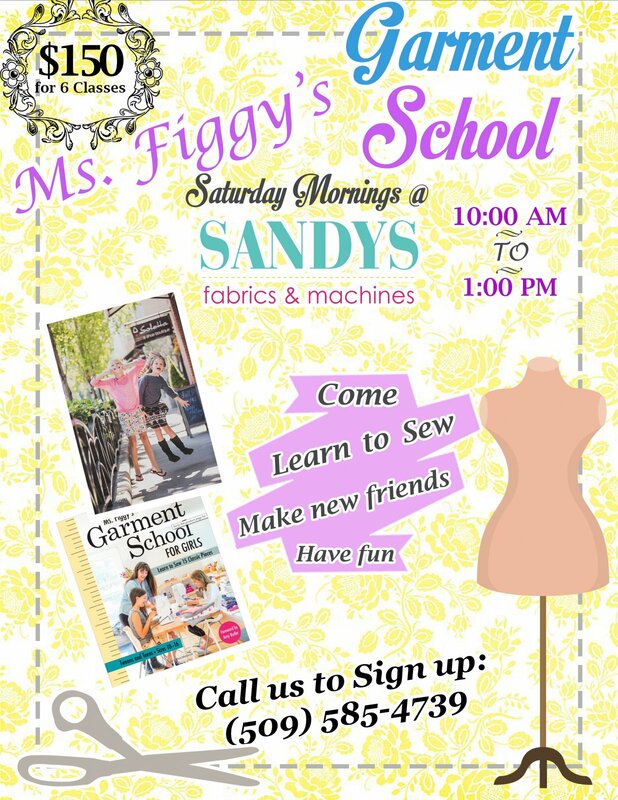 Girls, do you want to learn to sew, but are tired of making a draw string bag or pillow case? Then this is the class for you! We are going to take measurements, cut patterns and make some awesome garments to fit you. Come sew with me once a month on a Saturday and make a tank top, dolman top, pencil skirt, tunic top or dress, PJ pants or shorts and a V-neck top. You will learn how to sew binding in 2 different ways, work with stretchy fabric, sew elastic in a skirt, use a shirt pattern to make a dress, attach a waistband and add binding to a V-neck​ top. And have a lot of fun doing it! Purchase of pattern from Sandy's Fabrics and Machines. Kids 8+.